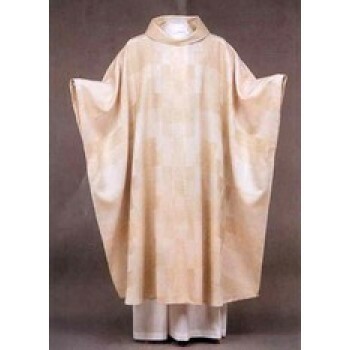 The use of chasubles and vestments have enjoyed a long and rich history in the church. 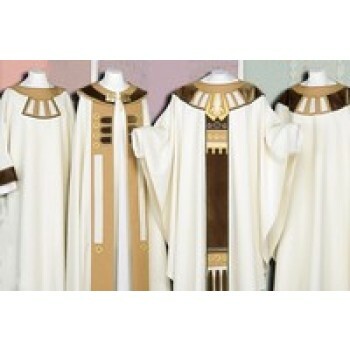 Matthew F. Sheehan makes it easy to embrace tradition by offering dozens of chasuble vestments from well-known, premium-quality brands such as Slabbinck, R.J. Toomey, Hayes and Finch, Art-Grossé and more. 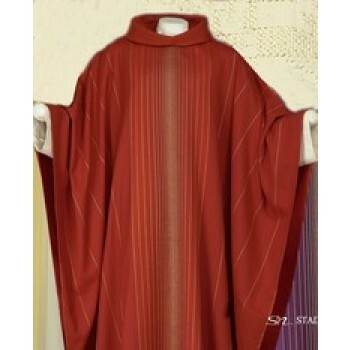 The quality and styles available will satisfy even the most discerning customer. 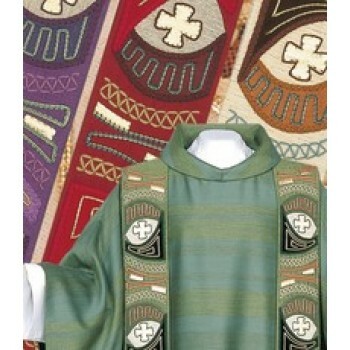 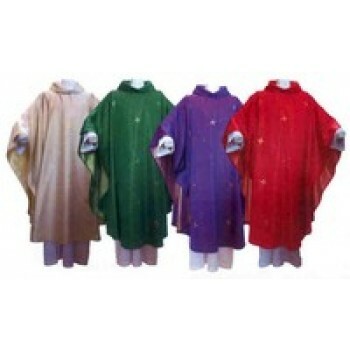 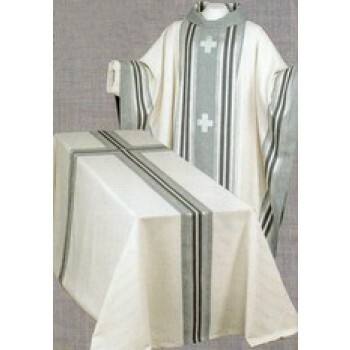 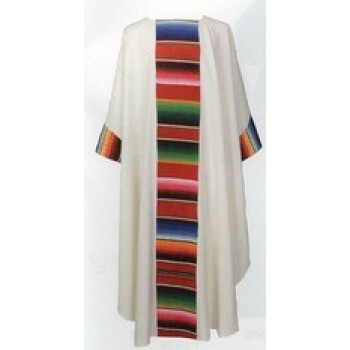 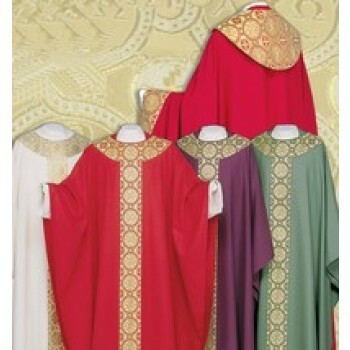 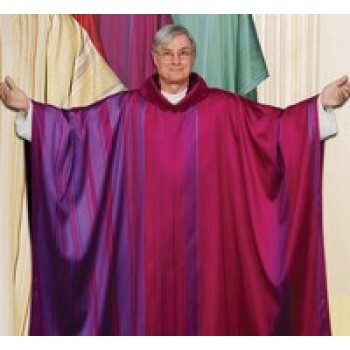 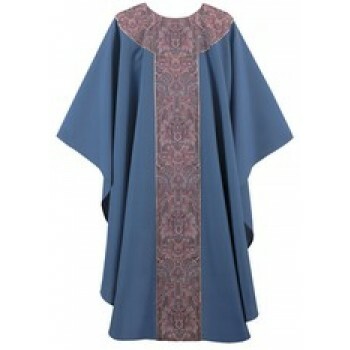 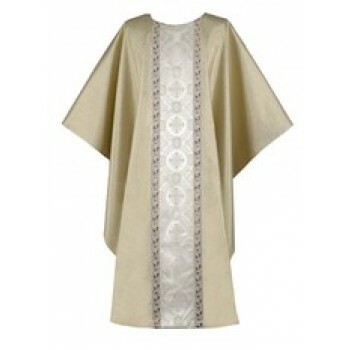 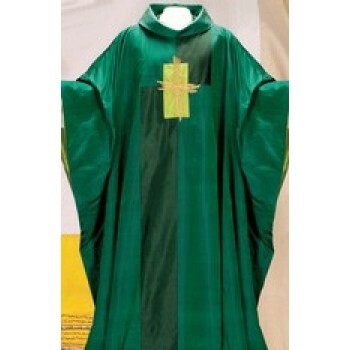 We carry chasubles in a variety of colors and designs to accommodate every event on the liturgical calendar - and more! 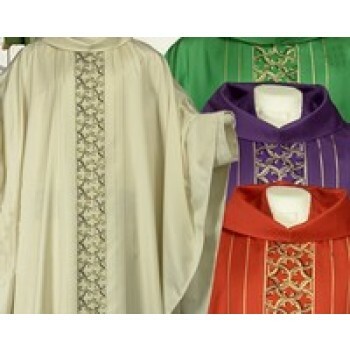 Our chasubles and vestments are available in any style and color imaginable - from classically simple and traditional styles in simply elegant fabrics to ornate, brocade, woven embroidered symbols and silks. 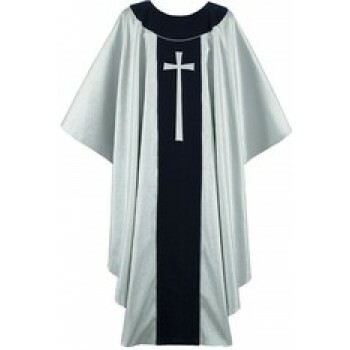 Choose from gothic styles that are rounded at the bottom and monastic styles, which are squared. 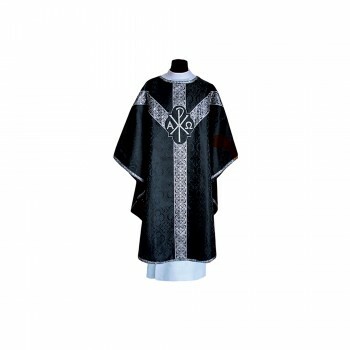 Whether you're searching for a colorful and decorative vestment to celebrate a special occasion or a simple white design for Mass, we have everything you're looking for. 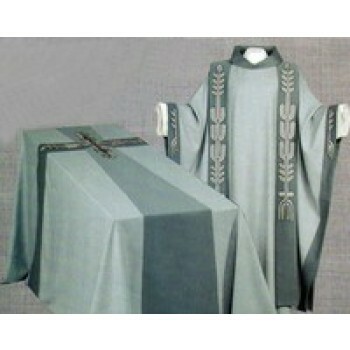 Select styles may be customized with a two-line memorial label for a small additional charge. 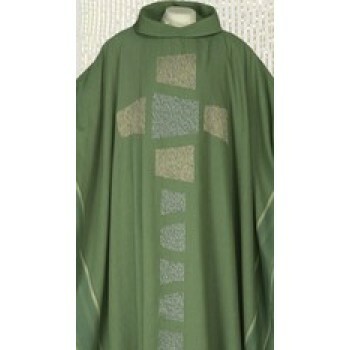 Each line on the label can hold up to 20 characters of personalized text. 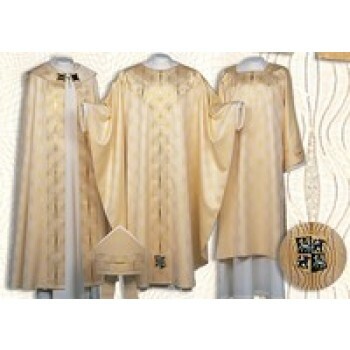 We also offer accessories to use with your chasubles and vestments, including cope clasps in various ornate designs. 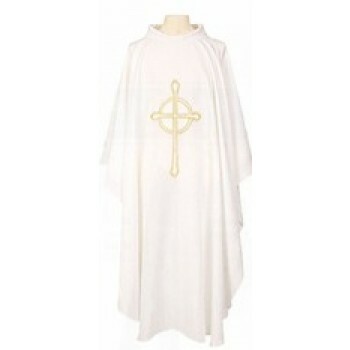 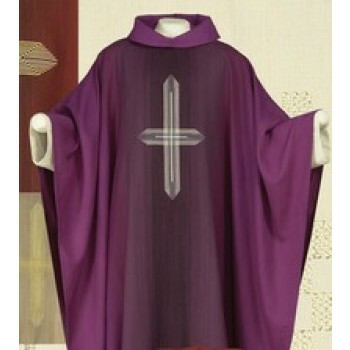 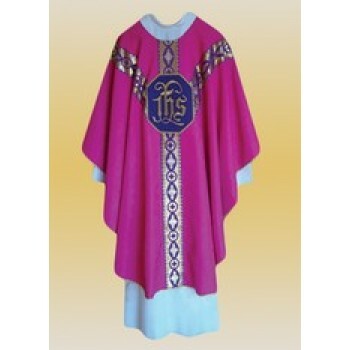 For more information on a specific chasuble, please click on the design that you are interested in. 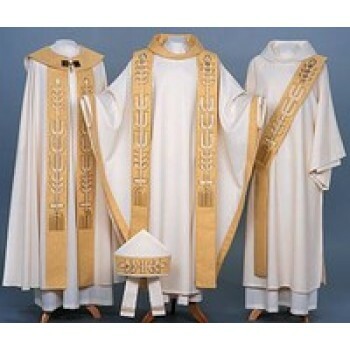 Sizing options, materials and additional pictures are available on each individual product's page. 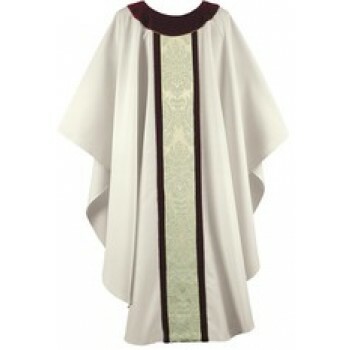 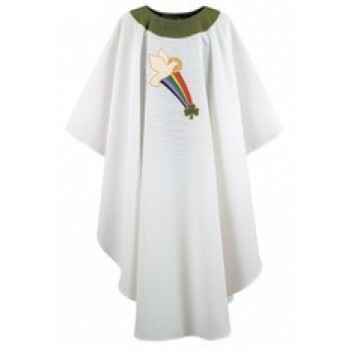 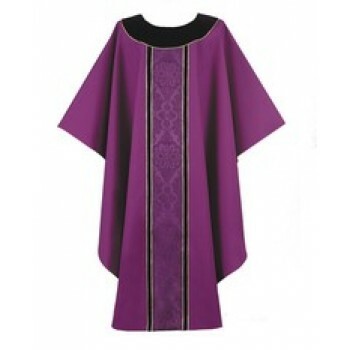 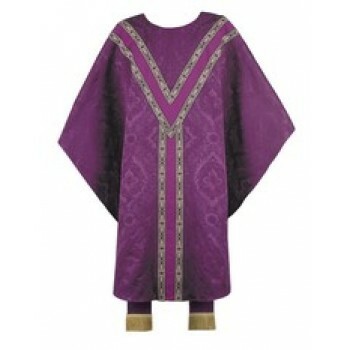 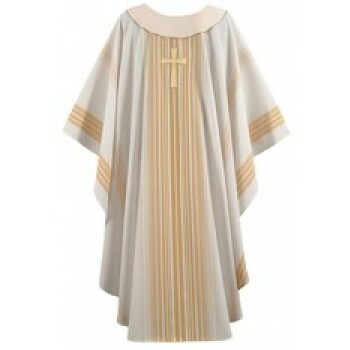 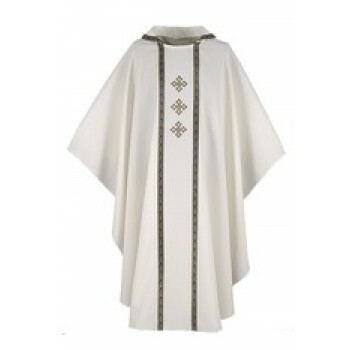 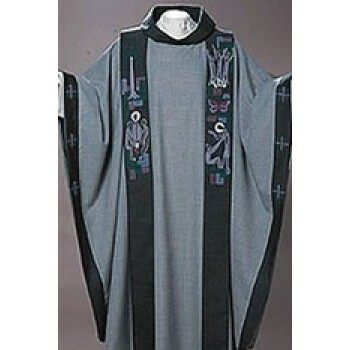 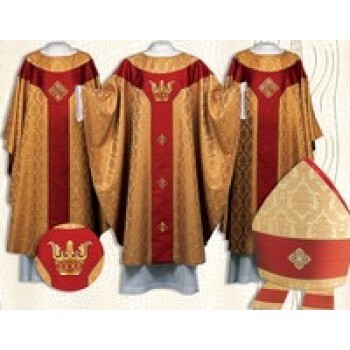 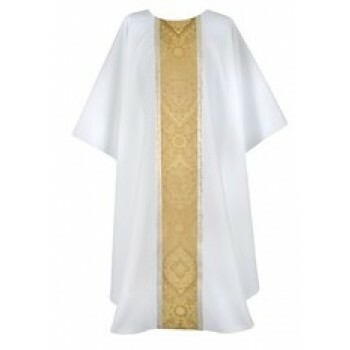 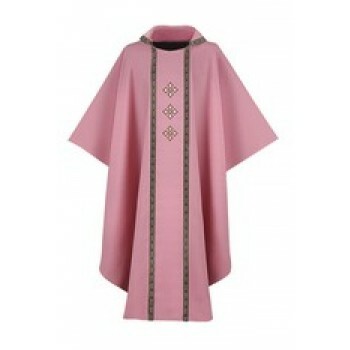 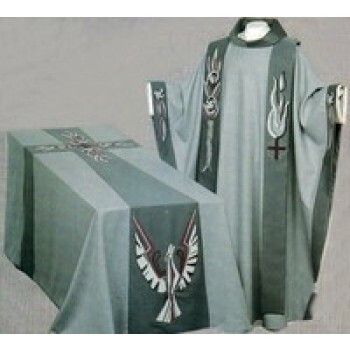 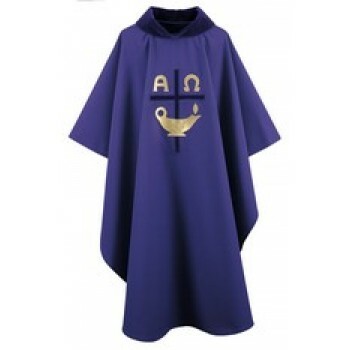 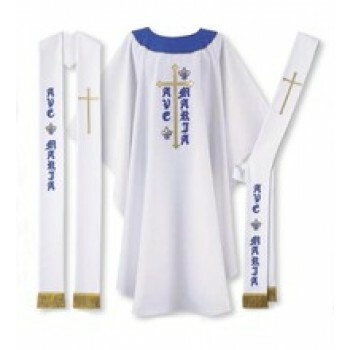 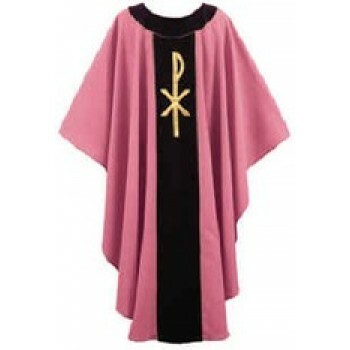 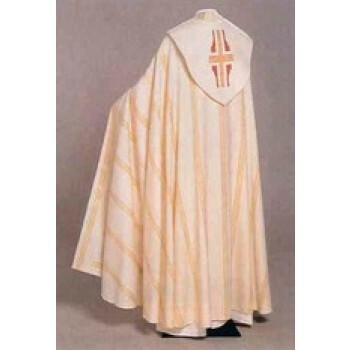 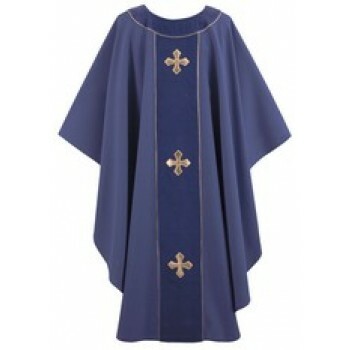 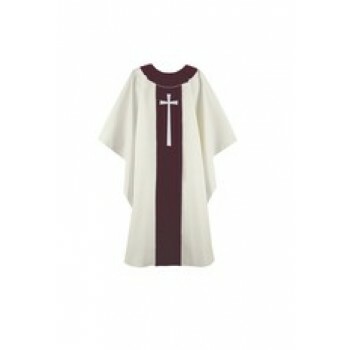 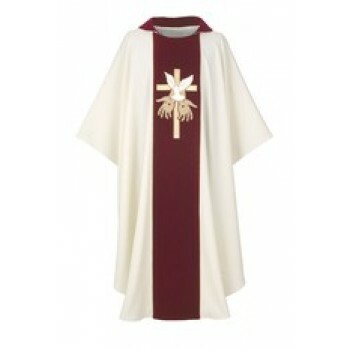 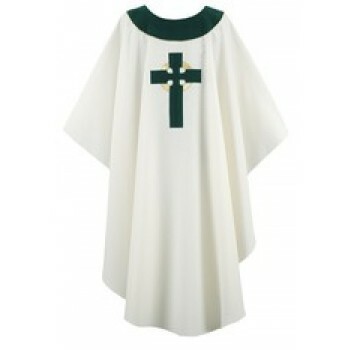 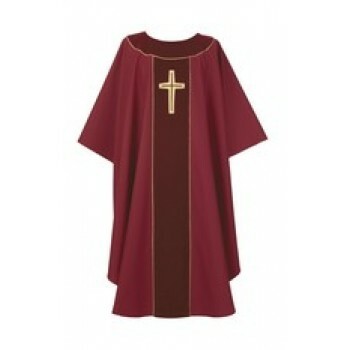 In addition to chasubles, we also carry other types of vestments and apparel to help you look and feel your best. 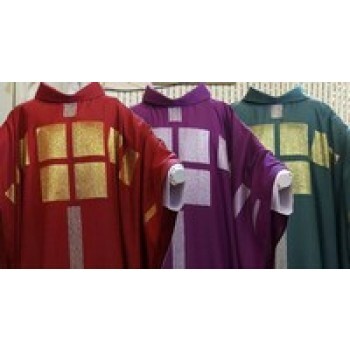 Each chasuble is finely hand-crafted and is intended to add inspiration, beauty and meaning to your worship services, masses and sacraments. 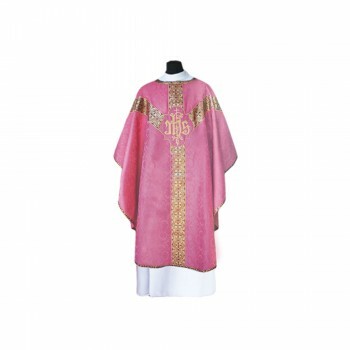 Shop with Matthew F. Sheehan for the finest selection of premium chasuble vestments. 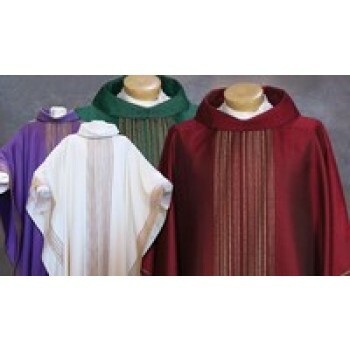 Our impressive array of styles, low prices and fast shipping options are sure to please. 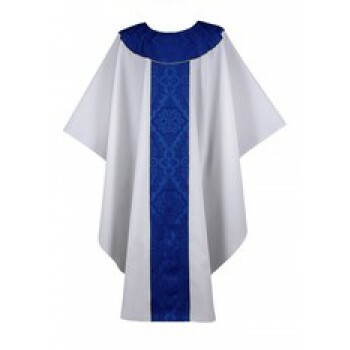 Matthew F. Sheehan has been the leading church good supplier in the U.S. since 1907, and strives to continue the tradition of offering excellent products, unmatched customer service and low prices. 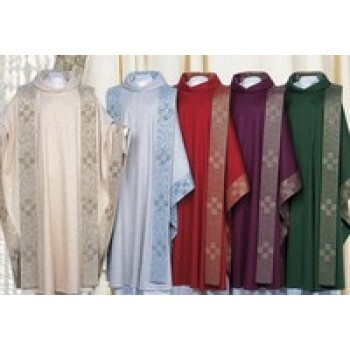 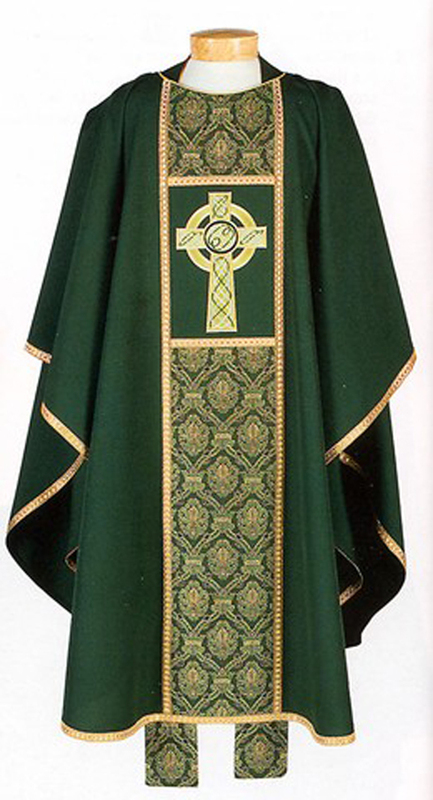 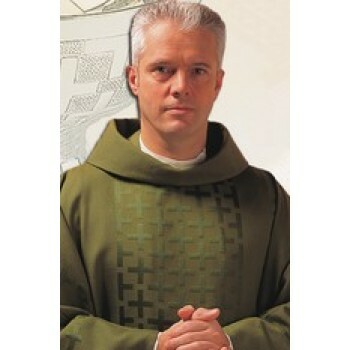 For more information on our chasubles, please give us a call at 1-617-762-5208 and speak with a live agent.